This John Guest fitting will allow you to fit 1/4" (10mm) water filter pipe onto a standard 7/16" (11mm) drinking tap base thread (also called the shank - this is the under-sink side which is a threaded section). 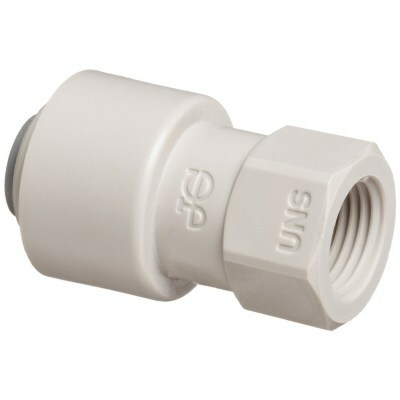 This John Guest 1/4 Inch Push Fit to 7/16 UNS Female Thread makes connecting the tubing to the tap extremely easy, which is a particular bonus when working in confined spaces. 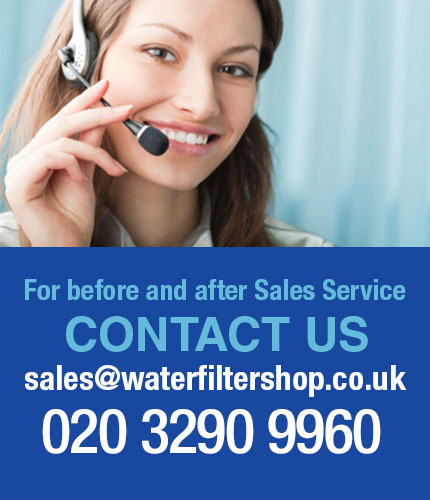 The fitting is ideal for use with drinking water filter systems, water conditioners, ice makers, drinks coolers and RO systems. 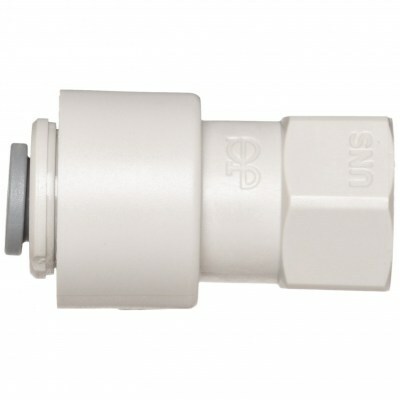 The fitting will fit virtually all single dispensing taps and the vast majority use the 11mm thread at the base. The fitting is suitable for use in both hot and cold water applications.